How to Improve Productivity with Outlook Integration Feature? Home/Blog/How to Improve Productivity with Outlook Integration Feature? MS Outlook is an excellent tool to communicate and collaborate within and outside an organization. 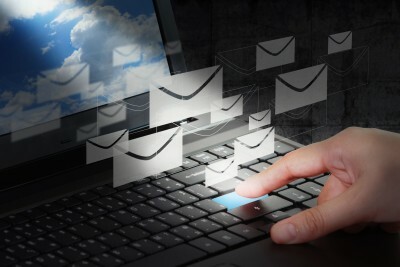 Millions of organizations use Outlook for email exchange and collaboration. Businesses of all sizes rely heavily on this tool, which is why Docsvault provides integration with MS Outlook. This integration allows Docsvault users to improve productivity and ensure smooth collaboration. Docsvault offers two main benefits through MS Outlook integration. Firstly, users can send documents stored in the repository as email attachments and secondly they can save all Outlook emails and/or attachments to Docsvault. Let’s learn about these benefits in detail, so that you can effectively use this feature. It is tedious and time-consuming to export document from repository and then send it as attachment from the email client you are using. So also, there is a risk of misuse of sensitive company information. An average employee needs to send 30-40 documents in a day and has to spend 50-60 minutes daily on such a mundane task. However, with Outlook integration, users can save this valuable time. Docsvault allows sending documents from within the repository via Outlook with the help of just a few clicks. What’s more, they have the advantage of viewing all related documents in the bottom panel, so in case they need to send certain reference documents, they can do so quickly without having to spend time searching for them. One more benefit of Docsvault is that only authorized users can export documents. Also, you can set alerts and notifications in Docsvault server, so that if a user tries to export, let’s say, more than 10 documents, you will receive notifications in your mail box. This allows you to take heed of the actionimmediately. An average employee receives up to 74 emails a day, which means spending at least a couple of hours sifting, saving and replying to all these emails. Docsvault allows saving important emails and attachments to the repository with the help of ‘Save to Docsvault’ button. You can also save notes and calendar items from Microsoft Outlook directly to Docsvault in .msg format. These emails, notes and attachments can be shared with authorized users and searched via full-text search and other search features, so that less time is spent on sharing and looking for documents. In Brief, Outlook integration is an excellent timesaving tool for Docsvault users. With its proper use, your employees can save a lot of productive hours and invest their resources in other lucrative pursuits of your company.